HIGH TRAFFIC, COMPLEX OR RURAL LOCATIONS MAKE MULTI-DAY INSTALLATIONS TOUGH! They say that necessity is the mother of invention and so we created the first fully deliverable drop-in-the-ground same day installation solution. 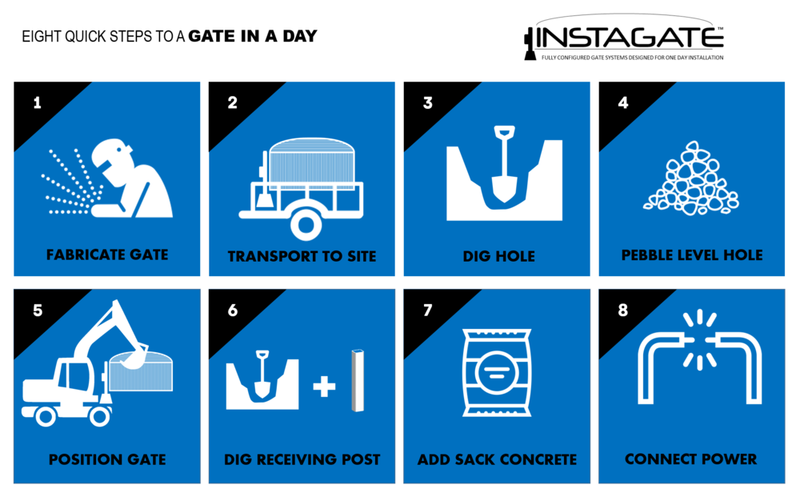 We obtain site requirements and fabricate the gates posts and the gate and attach and connect all gate equipment including operator, receiver, solar (if required), photo beams and safety devices. 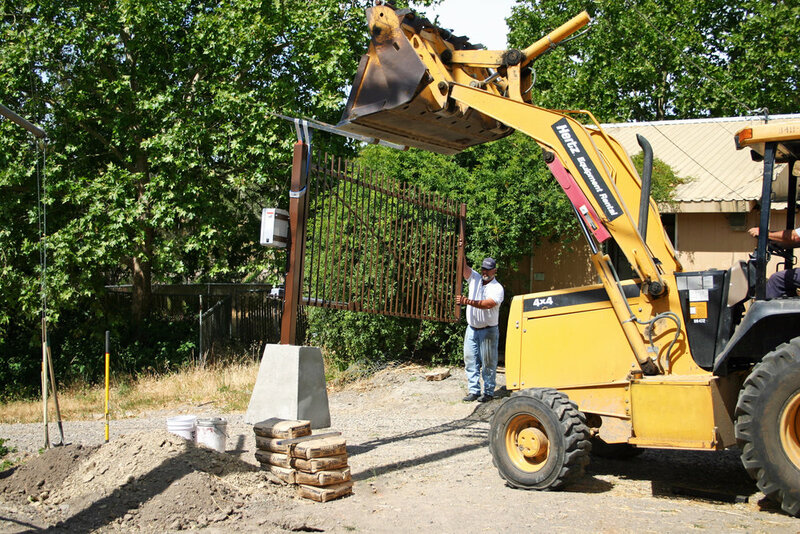 The gate is trucked to the location and removed with a loader or forklift and hoisted into place where it is placed in a pre-excavated hole leveled with rock. Once it is leveled in the hole concrete is mixed at the location and used to complete the installation. Once the gate is provided power or solar is activated. the gate is ready to use. A&D only uses well vetted, industry proven hardware on our Instagate products for a long life and reliability. Because labor is minimized with the fast installation, the cost of the gate is very reasonable. Homeowners with good site access. Correctional Facilities with minimal downtime. Industrial facilities which cannot be open for an extended installation. Ocean locations with minimal power.